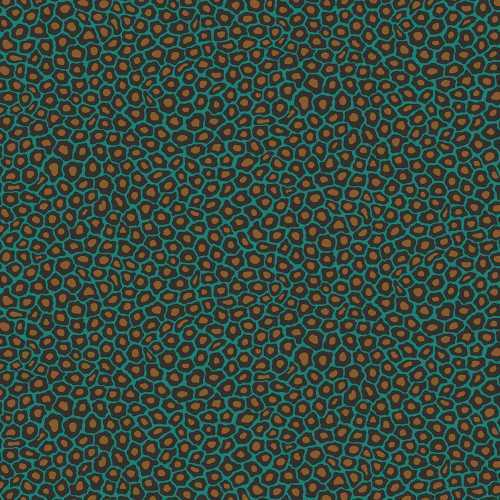 Inspiration for this exotic collection has drawn upon African culture, traditions and art resulting in a collection of bold colours, bold prints and exotic subjects The Cole and Son Ardmore Collection is the result of a collaboration between the designers behind the luxury wallpaper brand and the Ardmore Ceramic Art. 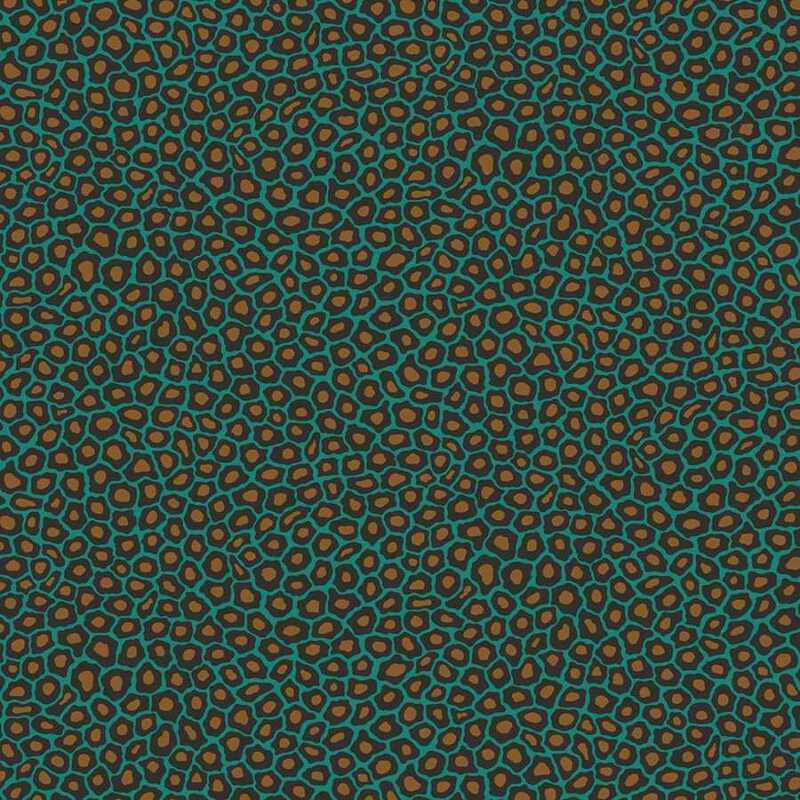 The Ardmore Senzo Spot 109/6033 is inspired by the charming native pattern of giraffe spots recreating the small scale animal print in seven different colourways. 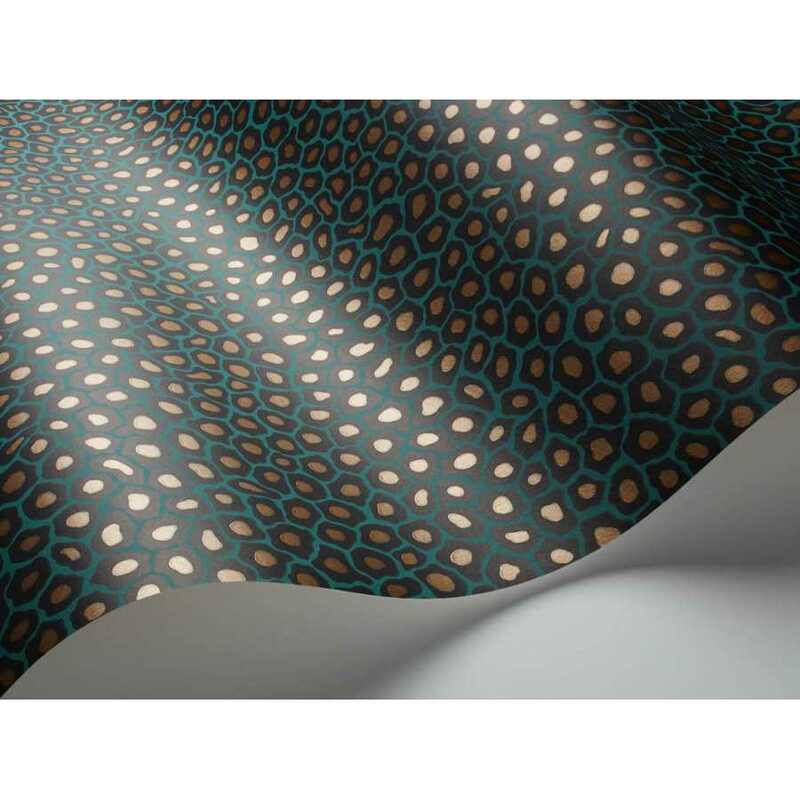 The Senzo Spot design is gilded with small dubs of softly textured metallic spots resulting in an effortlessly smart yet distinctive design. The Ardmore Senzo Spot 109/6033 consists the boldest colour palette in the whole Senzo Spot colour featuring a deep turquoise background to black spots and an eye-catching small gold spots that are highly apparent against the dark matte colour of the rest of the print. The gold and dark colours complement each other beautifully resulting in a truly eye-catching wallcovering design. 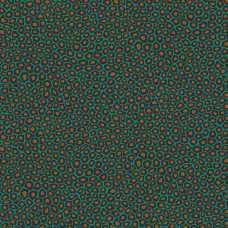 The Cole and Son Ardmore Senzo Spot measures at 52cm width and 10meters length with a 26.5cm repeat.